Altamar’s 12th episode takes a closer look at what seems like a watershed moment for Europe. With polarization ever more noticeable and traditional parties performing dismally, what does the future hold for the European experiment? Peter and Muni are joined by Mark Leonard, director of the European Council on Foreign Relations, who weighs in on the tumultuous year that awaits the EU while making the case for some cautious optimism. With formerly fringe parties strengthening their presence in parliaments across the continent, Peter worries that we may be witnessing a slow erosion of the center. “The fact that in most of Europe there is a parliamentary system rather than a presidential system makes it so that these extremist groups, be it Front National or FPÖ or AfD, have an outsized influence because they drag the mainstream parties to the extremes,” he says. Angela Merkel’s current troubles provide a poignant example of how much havoc parties like the far-right AfD can wreak in Europe without winning an election outright. 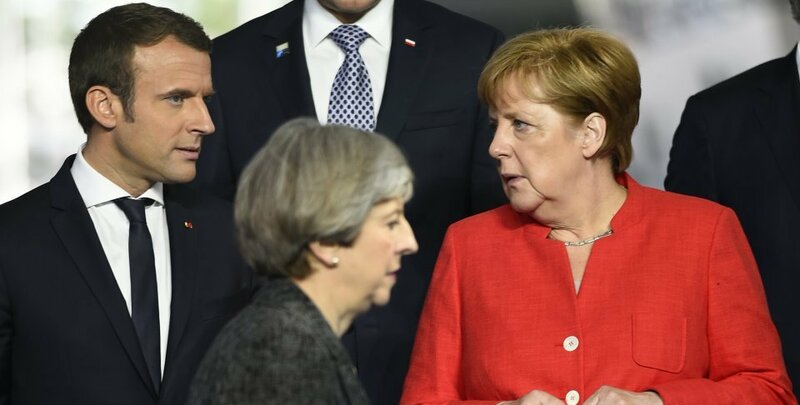 Still, with talks to form a grand coalition having reached a preliminary breakthrough (albeit after four months), Germany may soon get back on track, Mark notes, to the relief of the EU. Muni warns that refortifying the political center, though important, won’t be enough to restore Europeans’ faith in the European experiment. Still, Peter, Muni, and Mark all agree that writing Europe off would be a mistake. The EU, however sclerotic it may seem from the outside, is a resilient institution. 2018 won’t be an easy year, but Europe could emerge from it all stronger than before. The episode is available for streaming and download.